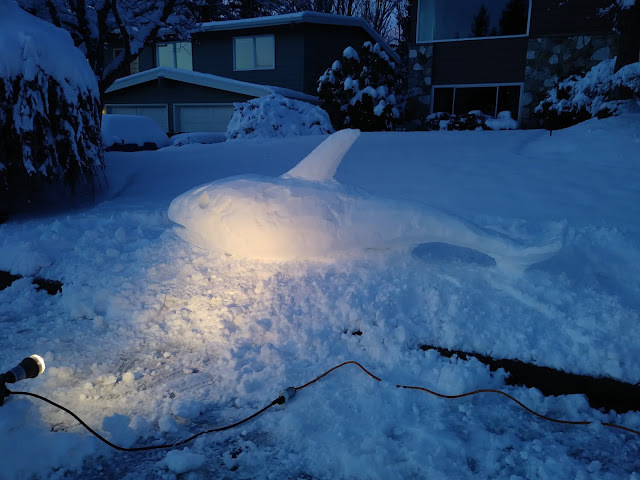 Will Hall is known to have a passion for orcas, which may explain why one swam through the snow to his yard. A snorca? Or it could be that the neighbors on his cul-de-sac had way too much fun in the snow Saturday. 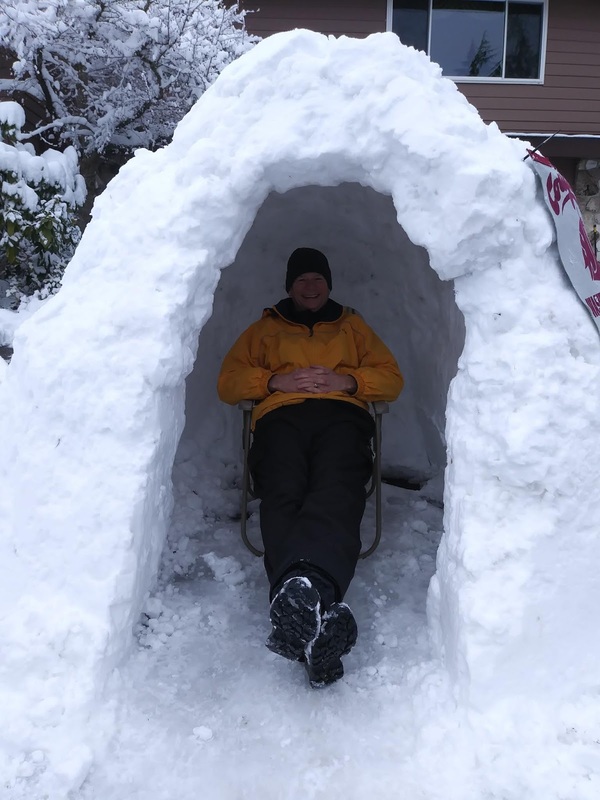 They built snow forts, had a few snowball fights and decided that Will really needed a small igloo in his driveway. After all, he's not going to be driving anywhere for a couple of days. 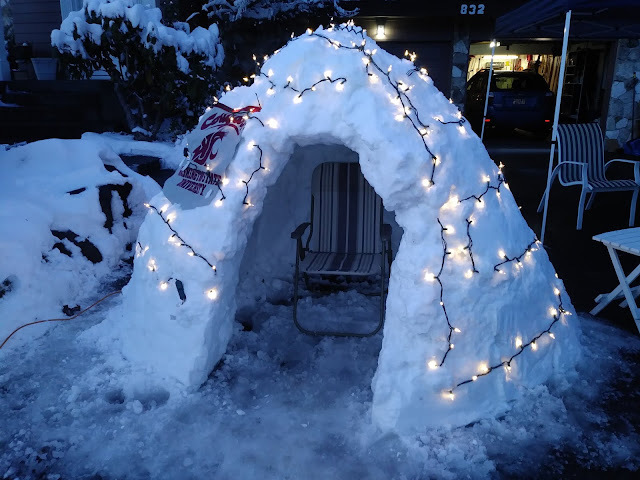 So what do you do with an igloo in your driveway? Decorate it, of course.